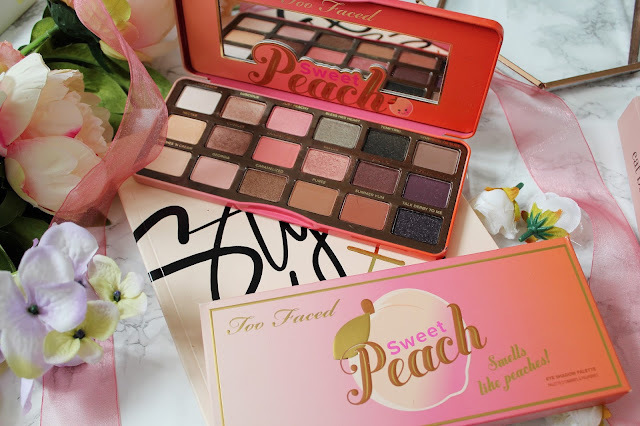 A few months ago Too Faced released their Sweet Peach range and it was all ever read about on blogs and all I ever saw on Instagram and I was determined not to join the hype but the more time went on the more into more ‘spring’ shades I became and this palette is full of spring colours. 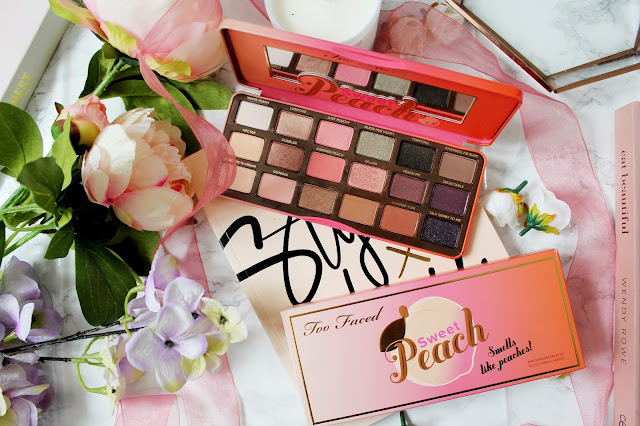 What I really like about this palette is that it combines both peach/pink colours with the typical brown shades you’d find in an eye shadow palette and it smells of peaches to which is just the dream! 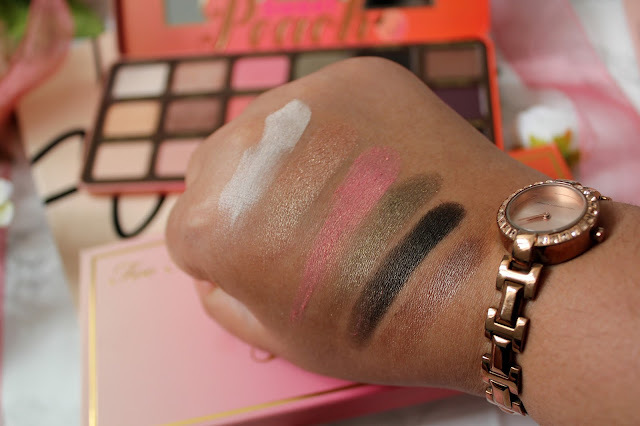 The shadows in the palette are so pigmented and easy to blend and while I was in Rome earlier in the week this is the only eye shadow palette I took with me. 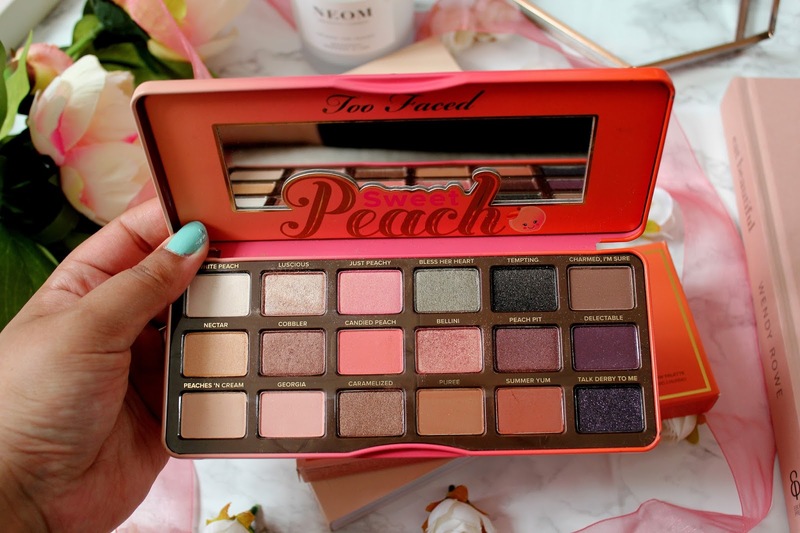 Each row in the palette has 6 shades and for £39 to get 18 high quality eye shadow shades, a mixture of shimmer and matte shades and they smell of peaches which is amazing! My most used shades on the top row are White Peach, Luscious and Charmed, I’m Sure. 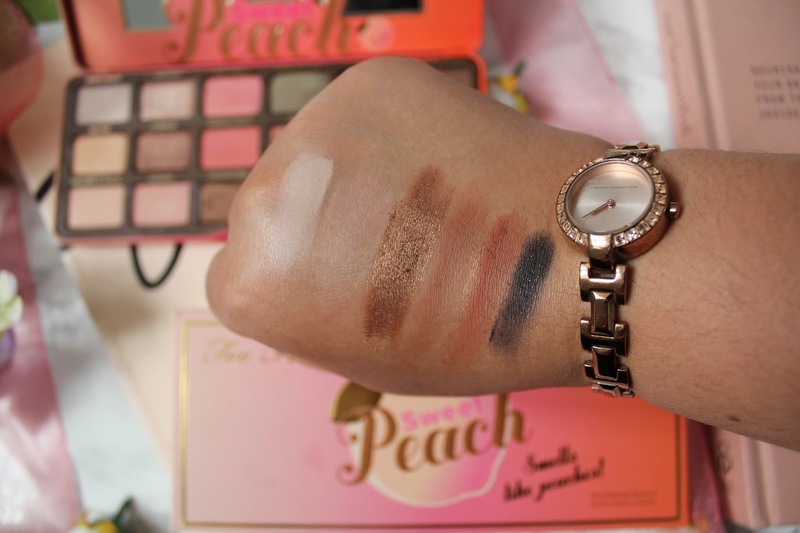 White Peach is a great shade to help prime my eye lids, I use Luscious as an inner corner highlighter for my eyes and I used Charmed I’m sure for a quick daytime eye look as it goes well with my skin tone. On the second row, I’ve used Cobbler a lot as it’s a great crease shade but my favourite shade on the second row is Bellini. 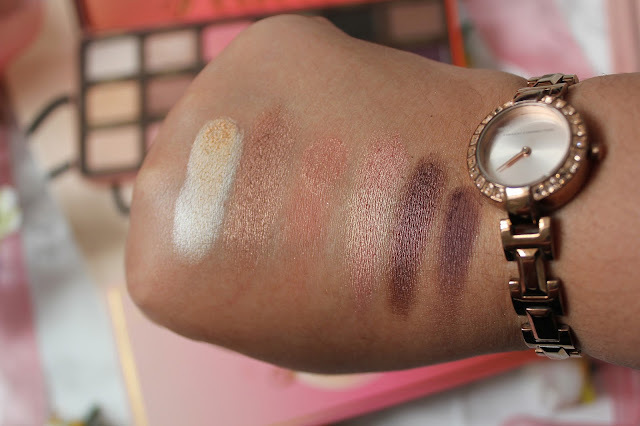 I think it looks stunning against my skin tone and it’s a great spring shade and it goes well with the more brown toned shades in the palette. 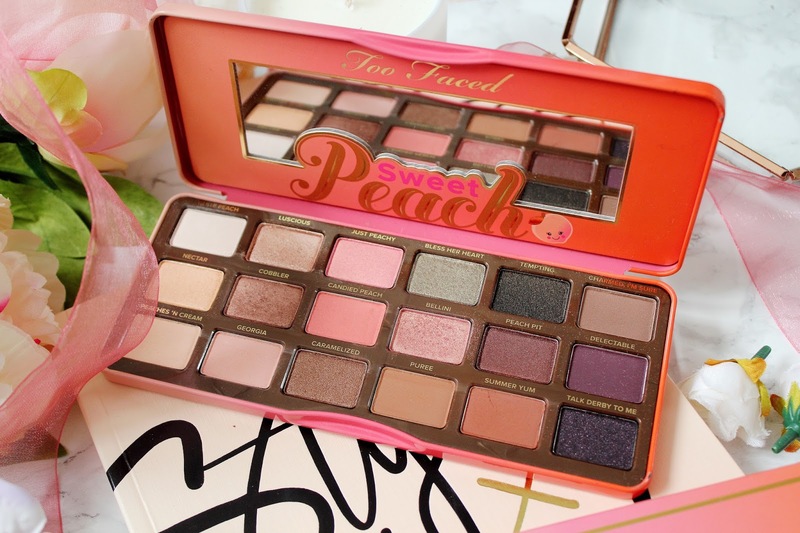 Overall, I really like this palette, especially after not really getting on with the semi sweet chocolate bar palette from Too Faced. I think this is a great palette, which you can use all year round, and if you like the smell of peaches, you need this in your life! Have you got this palette from Too Faced? Do you have any other Too Faced product recommendations? I really want to get this palette!